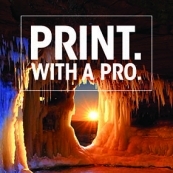 Find the most recent and up-to-date information about the Print Movement as well as interesting articles to help in the print sales process. 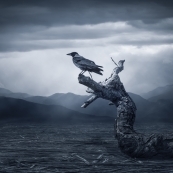 Have a story you would like to submit? Let us know! There's a distinct difference between the photographer who conducts live, in-person sales (IPS) and the photographer who hosts photos online or provides the customer with a CD of images. Thriving in the photography profession takes much more than IPS, but it's a great place to start if you want to run a profitable business. 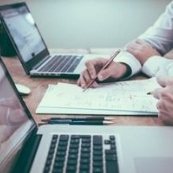 Behind every successful business is an effective system. 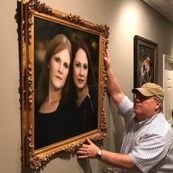 After more than 35 years, Hudson's Portrait Design has established proven techniques for not only achieving sales, but also building strong relationships for repeated bookings. Now, the father-son duo Bruce and Josh Hudson share the blueprint to that successful system in a few easy steps. As photographers, we don't always have the confidence to be a print-art warrior or fully market ourselves as Print Artists. 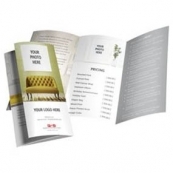 Today, print is a necessity, not only to create a valuable experience for your client but also to increase your bottom line! 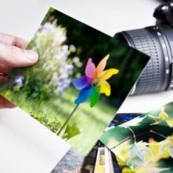 Whether you're creating cards for clients or your own photography business, this article from Tony Corbell is packed with advice to help you out. You'll learn some things to consider when laying your cards out in Photoshop, how to pick the proper sized card and advice for picking the card stock. If you're creating holiday greeting cards, be sure to take a look! 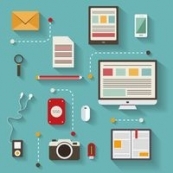 Consumers want your digital files. 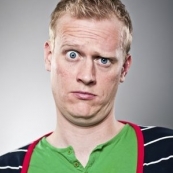 But they also find great value and meaning in printed portraits, and that creates business opportunities for you. Learn how three different studios are cashing--and creating loyal clients--by selling photographic prints. Selling wall art and prints can seem like an impossible task when all customers want to talk about are digital photos, but all it takes is educating them. Okay, so we’ve been beating you over the head with it… when you sell your photography services, also include PRINTED PHOTOGRAPHY PRODUCTS! What’s the next best thing to printing images? Selling those images, of course! But after that? Writing about printing images! 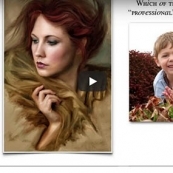 Quick Quiz… How Can You Help Clients See The Value In Professional Photography Services? Okay, so we’ve been beating you over the head with it…when you sell your photography services, also include PRINTED PHOTOGRAPHY PRODUCTS! Think You Can’t Sell Printed Photography? Read These Tips from PPmag.com and think again. 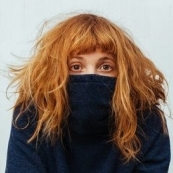 If your studio only sells digital products, it can be far more difficult to run a financially-sustainable business than studios that also sell printed products. There is no denying it: prints lead to profits, and for that reason alone all professional photographers should look into selling prints. 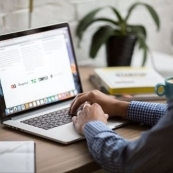 Incorporating in-person sales (IPS) into your business can boost your sales significantly. It’s a great opportunity to show your clients the care you take in presenting your products, and how important it is to you to create quality work that will make them happy. 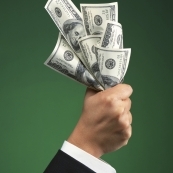 This article gives you 10 tips on closing your face-to face sales! What is a Time Capsule without Printed Photography? Photography is best enjoyed in Print. You know that, but do your clients? 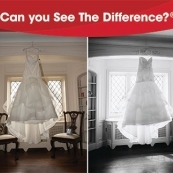 Are you struggling with exactly how to explain the process of print photography to clients? Here are a few ways you can show them why the efforts and services of this art form can't be matched. PRINT. The Movement. Starts with You. 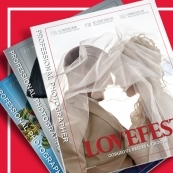 Printing options for professional photographers are growing. That's why it's more important than ever to learn these options from a print artist standpoint. 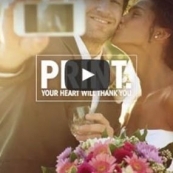 Join the PRINT Movement, and see how you can help change your business and the industry. As 2017 came to a close, we reflected on a year in the Print Movement. The Print Movement was the brainchild of PPA and several other companies looking to help promote print art in the “new world” (digital world). 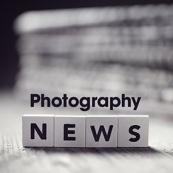 The Print Movement is designed to help bring photographers together with print industry leaders, and educate everyone on why print is so important to our world. In 30 or 40 years, how will you remember the most important moments of your life? 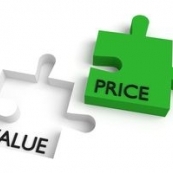 It's a question that the print industry is asking during this technological age. 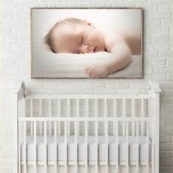 According to a nationwide survey conducted by Professional Photographers of America (PPA), consumers are printing significantly less than the generations before them. It's not an understatement to say that digital photography has fundamentally changed our industry. Not only can we snap hundreds of images without ever having to stop to change a roll of film but we also have what seems like an infinite amount of storage.But there's just one problem with that: instead of handing a client a physical framed print or a quality album, we hand over a CD or USB flash drive and call it a day. People came from far and wide to San Antonio for the annual professional photographers' conference, Imaging USA 2017, to hear amazing speakers, and absorb their wisdom. Of all the educational series featured at the event, the PRINT program talks emphasize print product sales as a core component of your photography business. Now, you can get an exclusive look at the live recording of this inspiring program. You may have noticed a few updates to the Print Movement website. We've made a few improvements, added some new visuals, and made it easier to view on mobile. The one thing that may stand out though, is a BRAND NEW PRINT MOVEMENT VIDEO. Sue Bryce Helps you with In-Person Selling! Welcome to the Shoot & Burn Era. These days more and more clients ask for digital images, and don't even think to ask about prints. That's where you come in. One of the things that sets the professional photographer apart from the amateur is the knowledge and respect for printed images as an art form. It's the photographer's responsibility to show clients the beauty in print, and why they are necessary for their lives. PRINT. 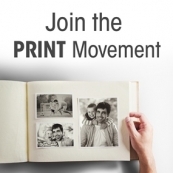 The Movement is an awareness campaign that helps consumers see the value in showcasing and preserving their lives or their families' lives with high-quality prints, albums, and all types of displays from professional photographers and photographic suppliers.As a professional photographer, it is to your benefit to get involved and spread the world about the movement to your clients and peers! Help Spread the Word! Join the PRINT Movement! 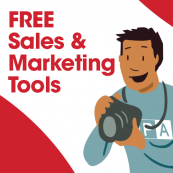 New Tools to Help with Your Photography Business Branding! It is estimated that professional photographers take approximately 4,160 digital photos a month just for business. And thanks to the enhanced capabilities of cellphone cameras, amateur photographers will took approximately another 3,650 photos per year per person in 2017. The Print Movement is all about encouraging photographers to add value to their business by showcasing their print art. 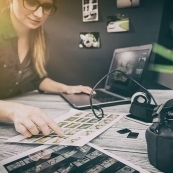 In a time when everyone can take a picture on their phones and technological growth is rapid, it's important to share the value of professionally-printed photography with clients. 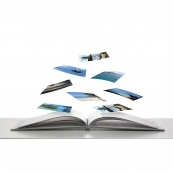 Digital files can easily be misplaced or destroyed, leaving memories lost forever. 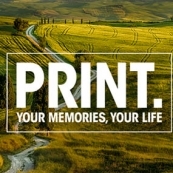 Find Your Print Photography Resources Here! Learn how to use PRINTS to boost your studio's success! 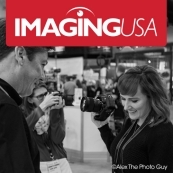 You can find exclusive videos from Imaging USA 2016 for your dose of motivation. Check out the video recording of this Imaging USA program in its entirety here! PRINT. 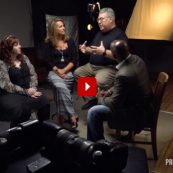 The Movement: Success Secrets of a Six Figure Studio Class taught at Imaging USA 2016 in Atlanta by Allison Tyler Jones, CPP. If you've never seen or heard the great Tim Walden speak, you are in for a huge (and inspiring) treat! In the next few days, you will find several videos from Imaging USA 2016 for your daily dose of motivation. Check out the first video recording of this Imaging USA program in its entirety here! PRINT. The Movement: Being A Print Artist class taught at Imaging USA 2016. 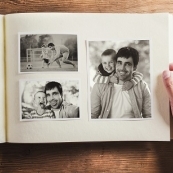 A survey conducted by PPA revealed that 67% of respondents store their photos on their phone or computer. In this digital age, there are still great risks that come with not producing tangible prints. 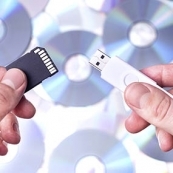 Most people will think: “I saved them on my hard drive!” True, but what if your computer crashes, or maybe there is power surge and you forget to save your images in the process?